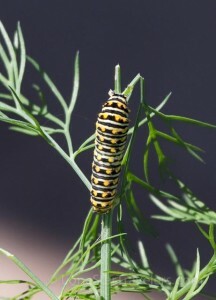 We found this caterpillar devouring a dill plant in our garden. The female Black Swallowtail deposited her eggs on the plant. At this stage the caterpillar’s only function is to eat as much as possible. Comfortably enclosed in it’s Chrysalis the caterpillar is morphing into a beautiful Black Swallowtail. 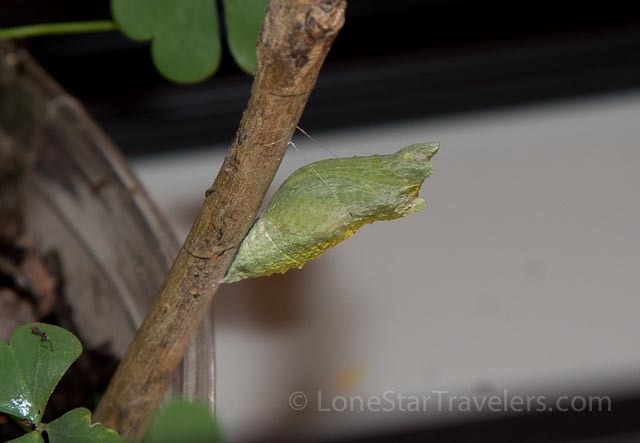 After two weeks enclosed in it’s Chrysalis, the female Black Swallowtail has emerged. 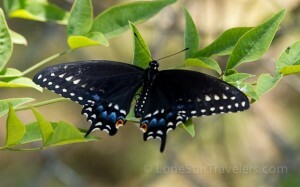 This entry was posted in Texas Wildlife and tagged Butterfly, caterpillar, Swallowtail, wildlife. Bookmark the permalink.